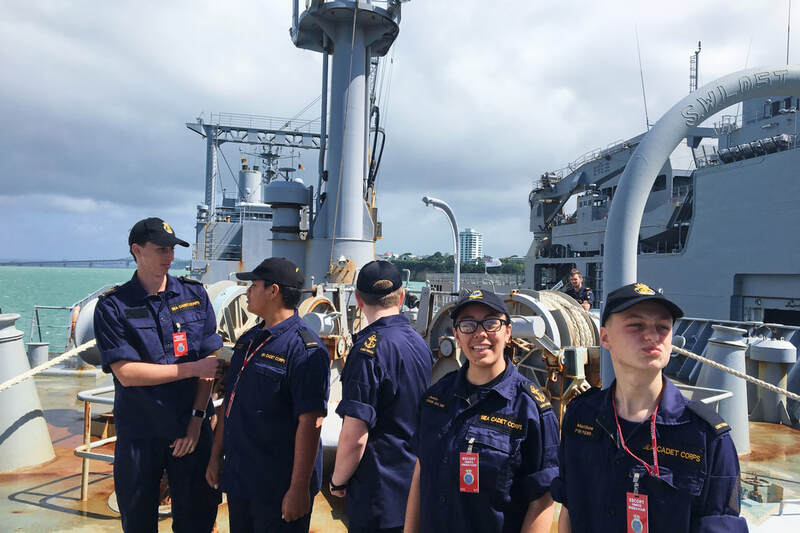 Cadets from T.S. 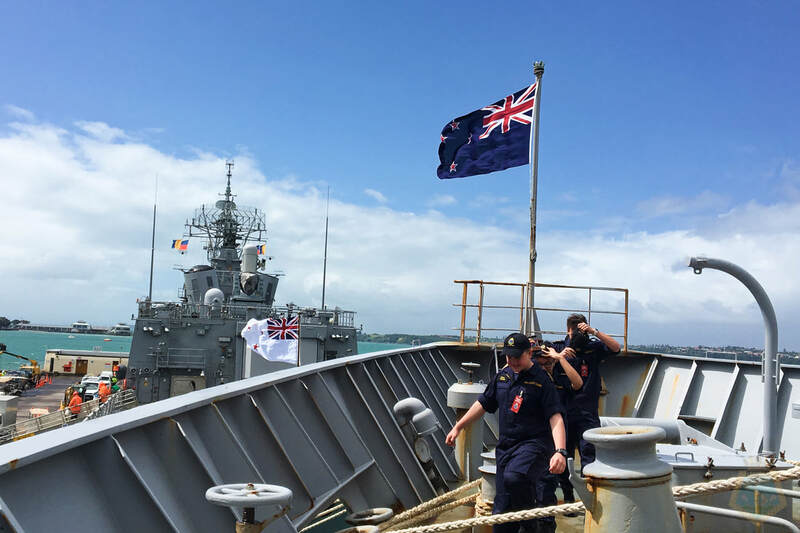 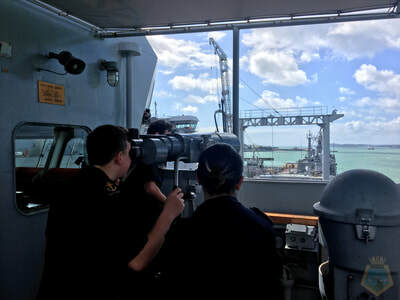 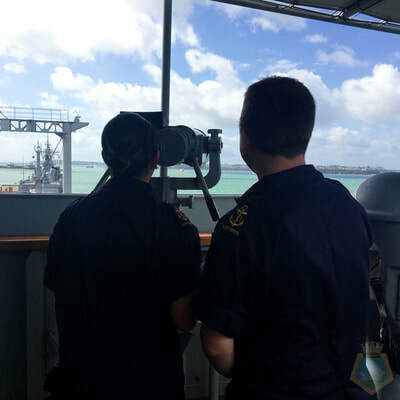 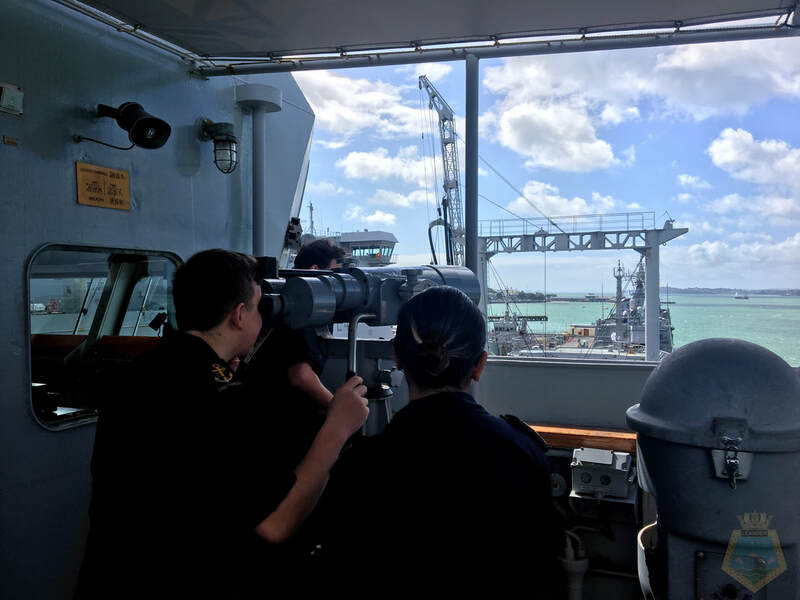 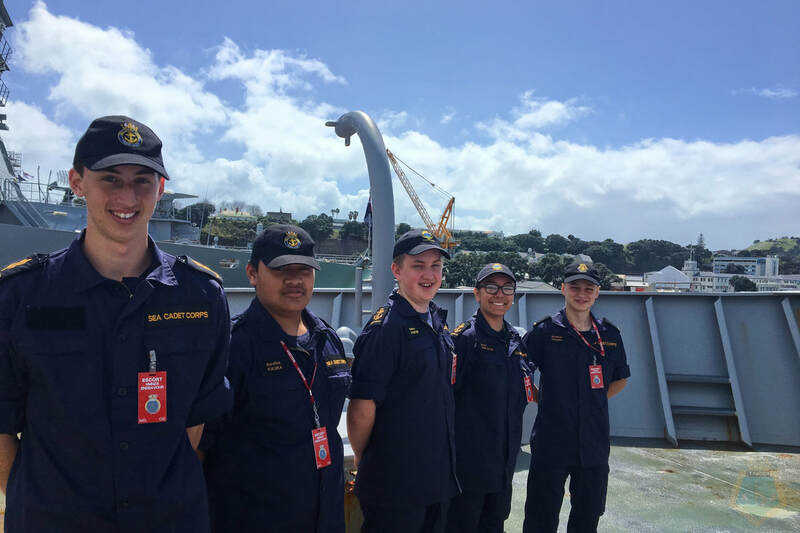 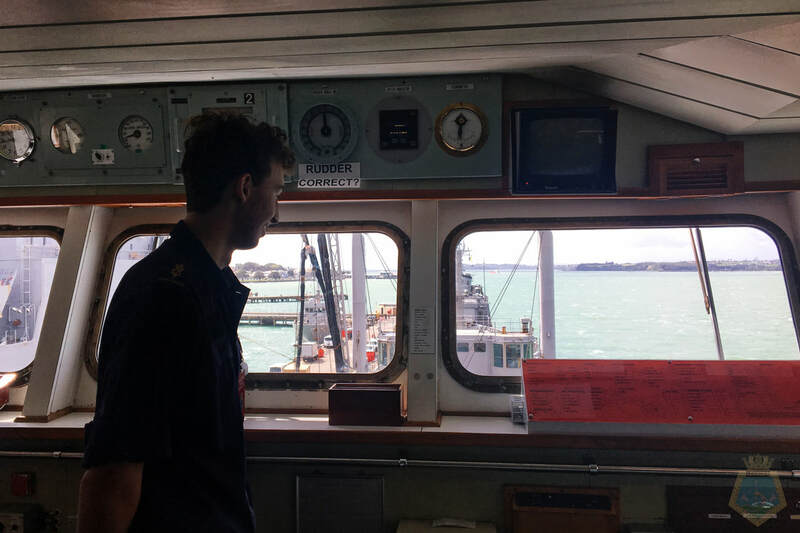 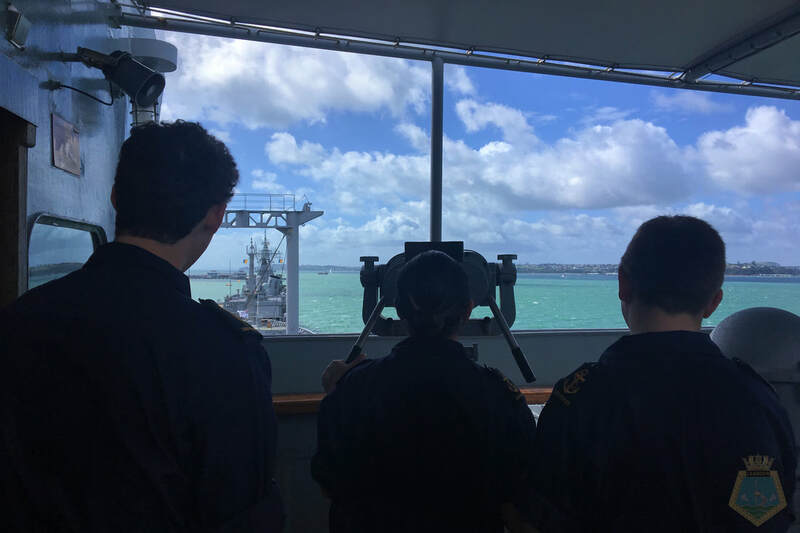 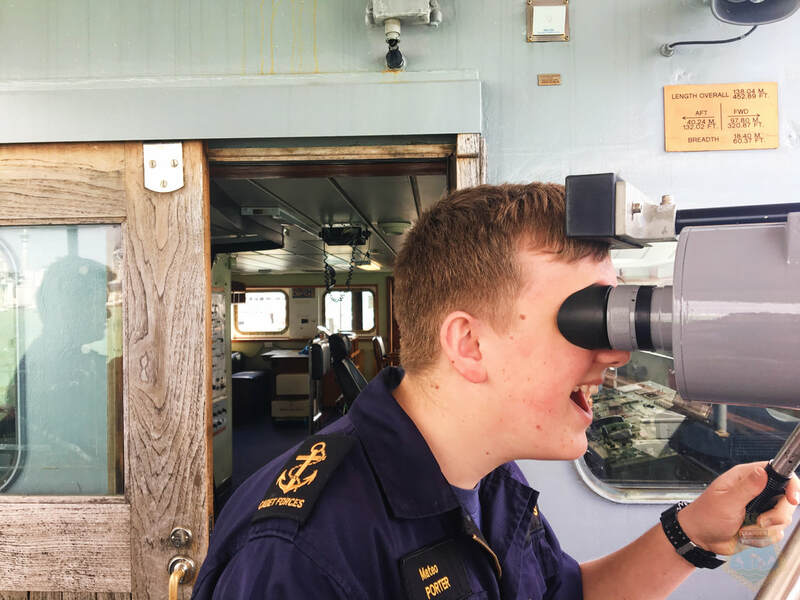 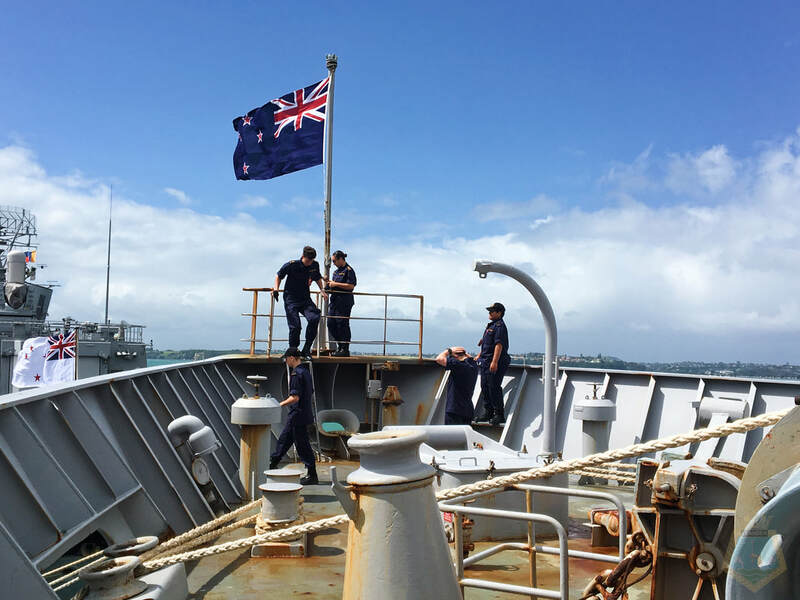 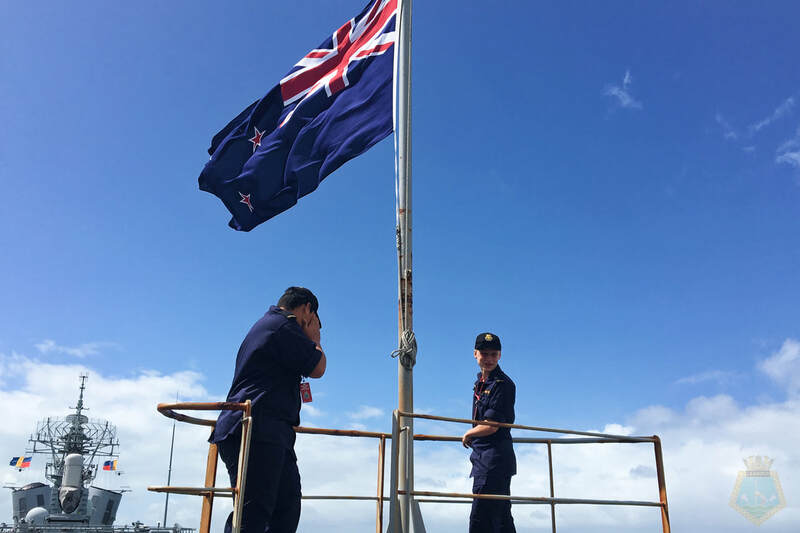 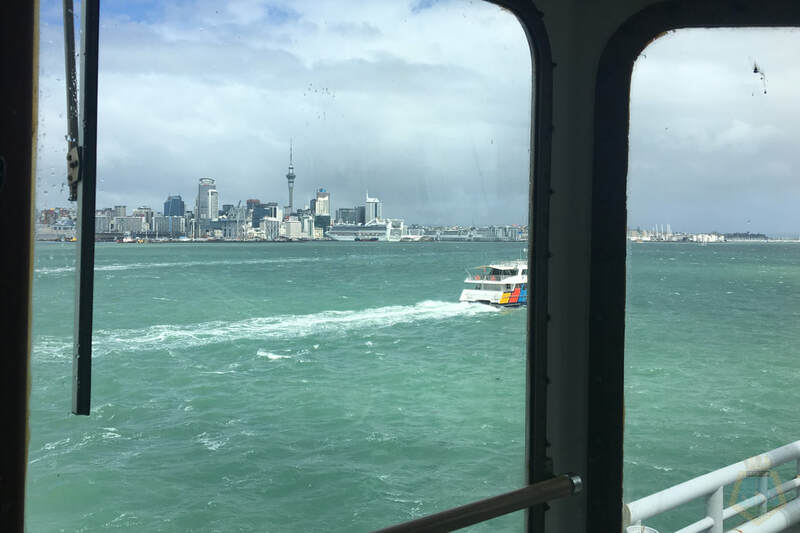 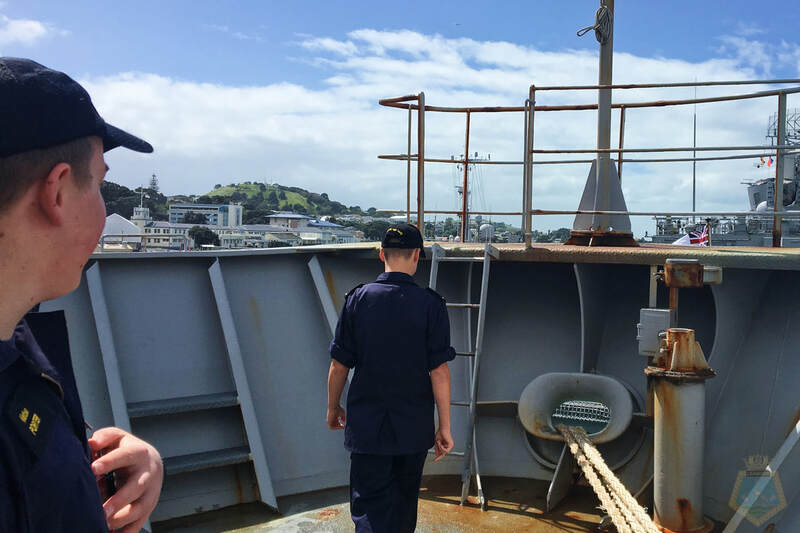 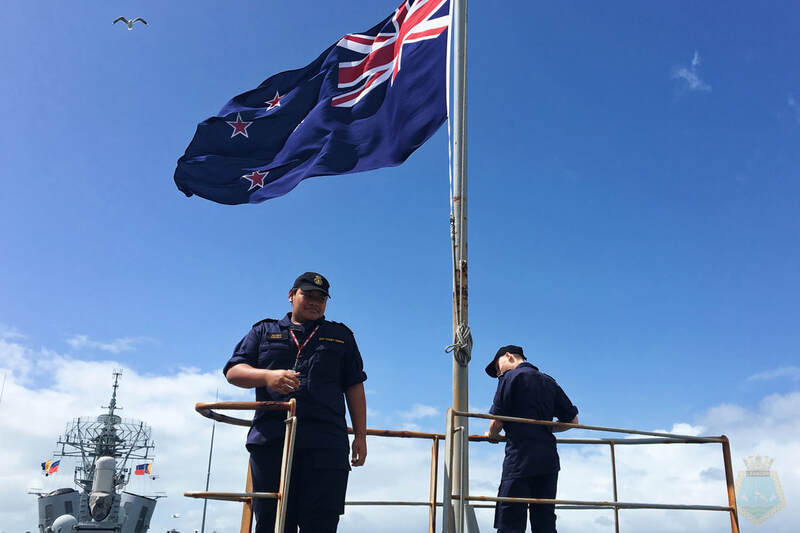 Leander were invited to the Devonport Navy base and were granted the opportunity to visit HMNZS ENDEAVOUR. 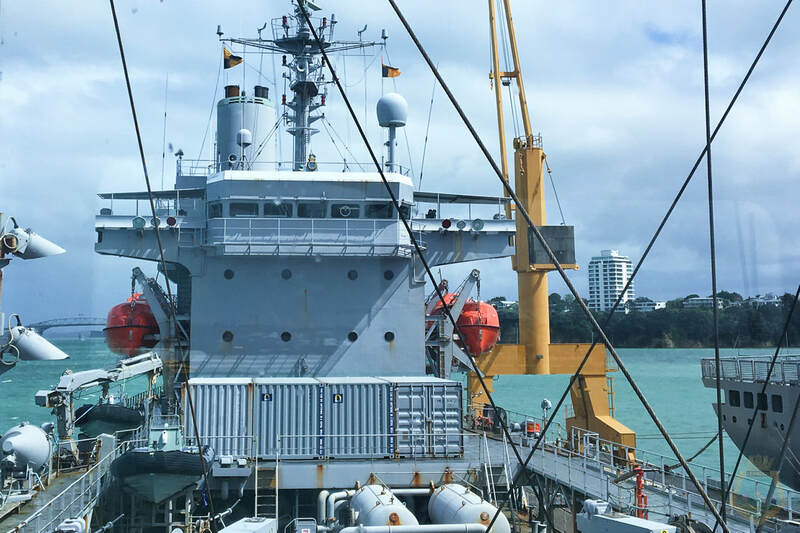 HMNZS ENDEAVOUR is the New Zealand Navy’s current fleet replenishment tanker and is the Navy’s biggest ship. 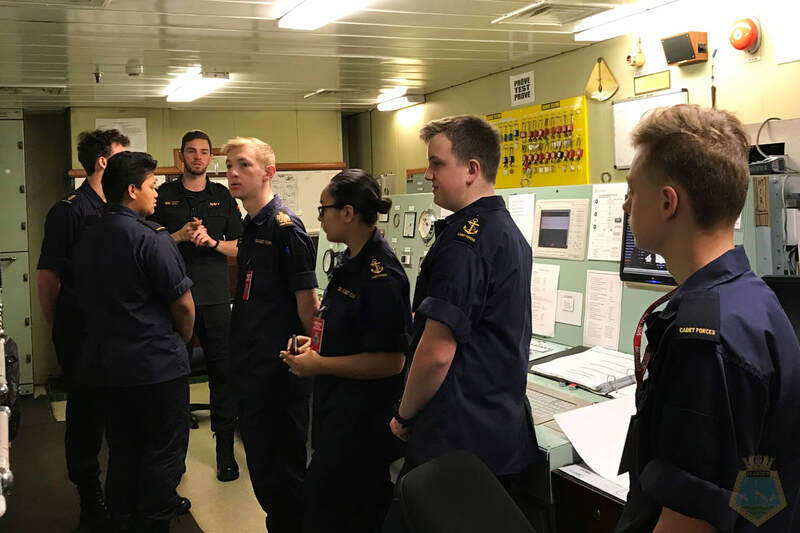 The cadets were given along with a presentation of the history of the ENDEAVOURs' work and travels followed by a private tour of the ship. 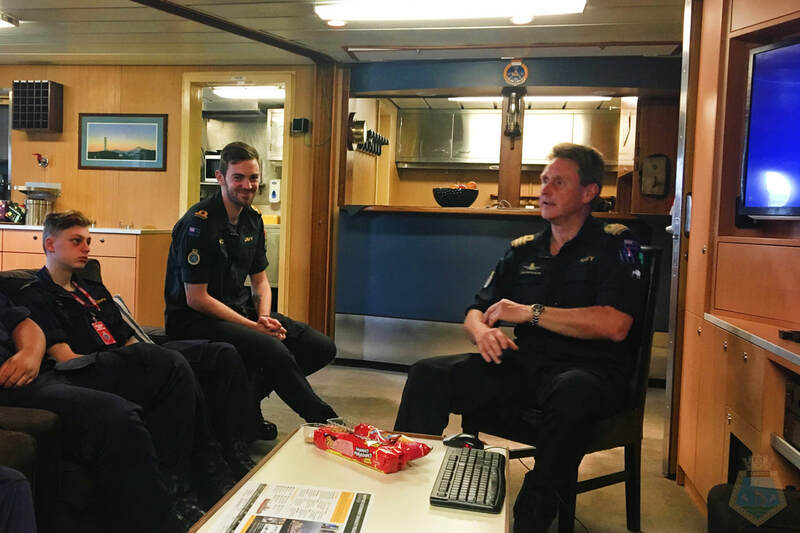 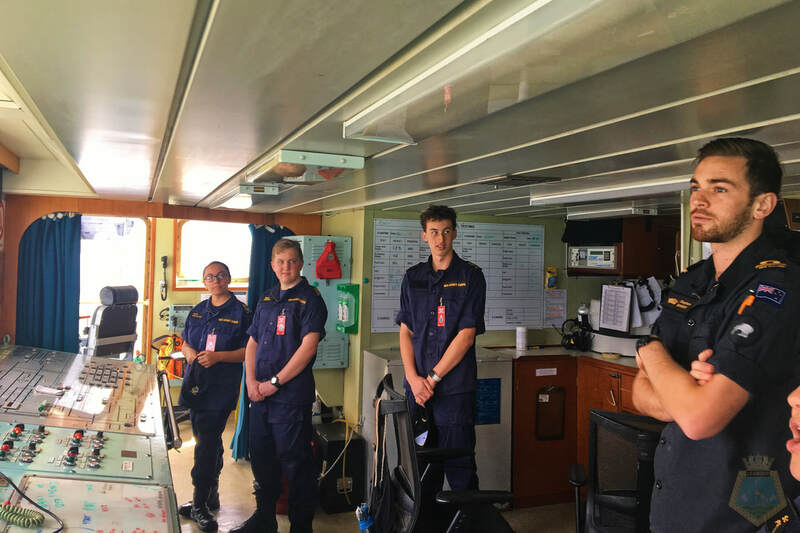 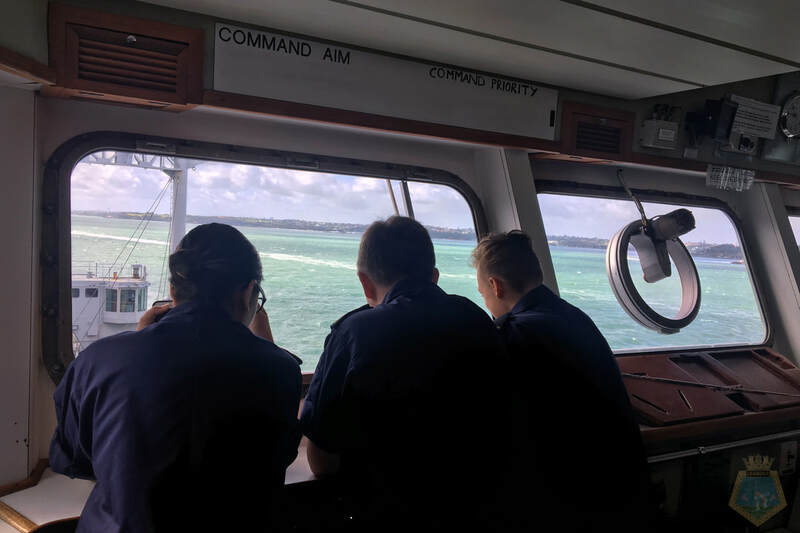 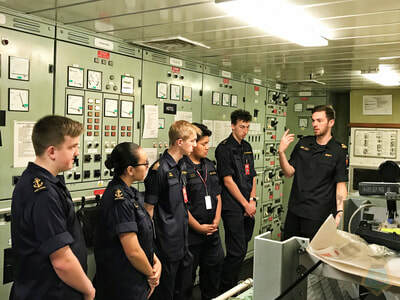 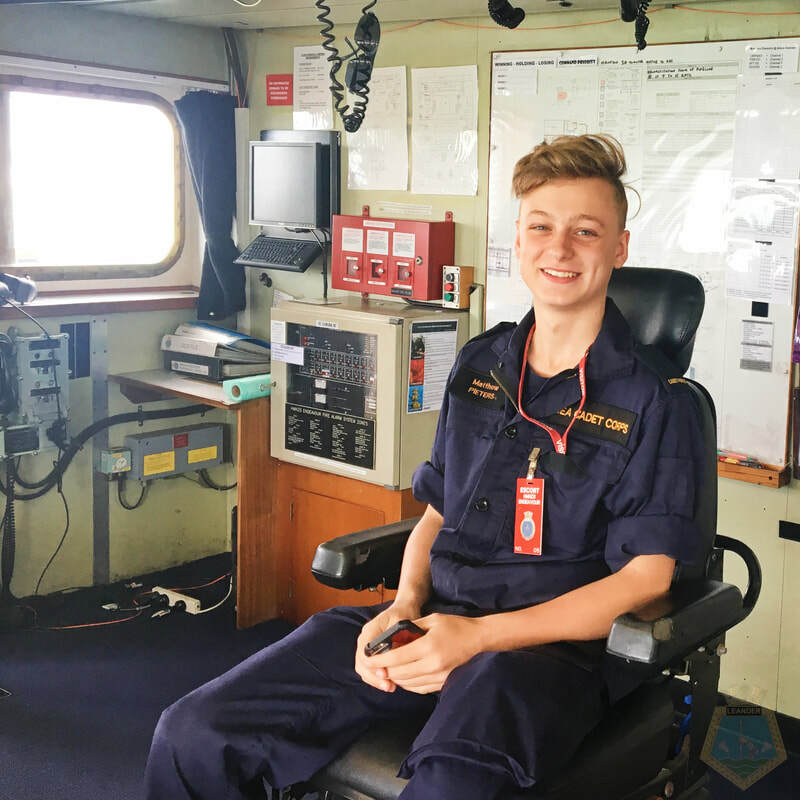 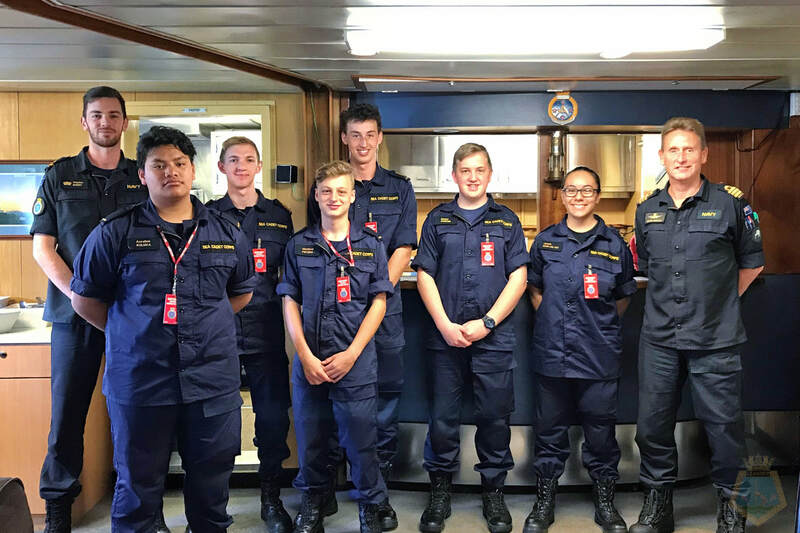 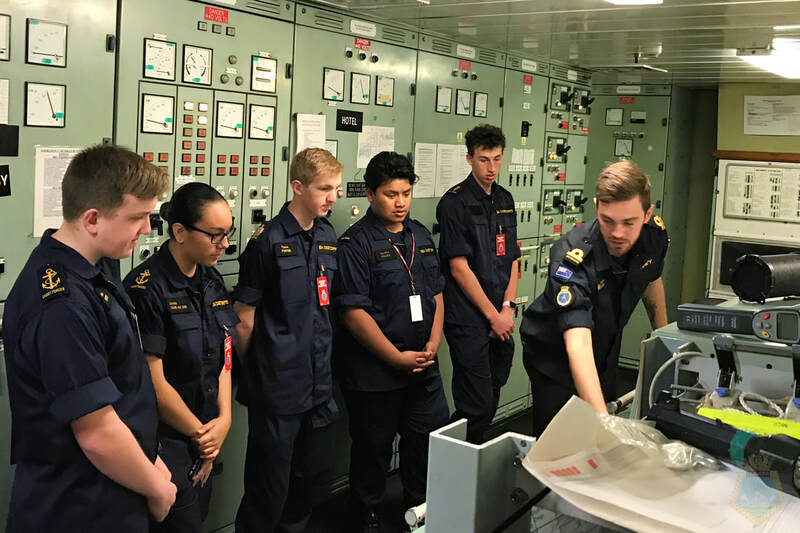 The Captain of HMNZS ENDEAVOUR, Commander Martin Doolan, and Sub Lieutenant Barry accompanied the cadets, shared their stories and advice towards joining the Navy. 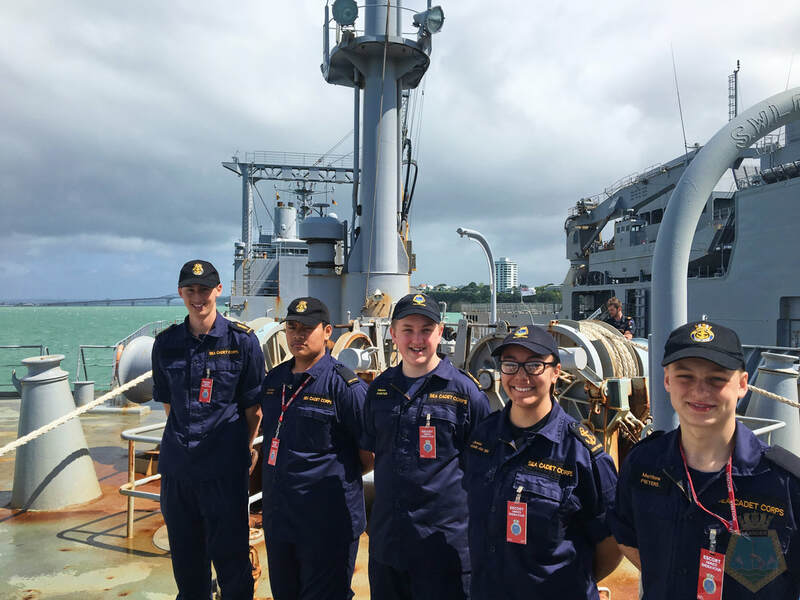 From Left: ACDT Murahidy, OCDT Kuluka, LCDT Porter, LCDT Gair-Ah Siu, and OCDT Pieters. From Left: LCDT Porter, and OCDT Pieters. 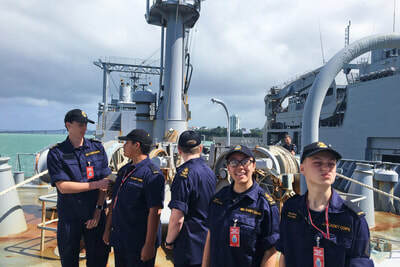 From Left: OCDT Kuluka, and OCDT Pieters. 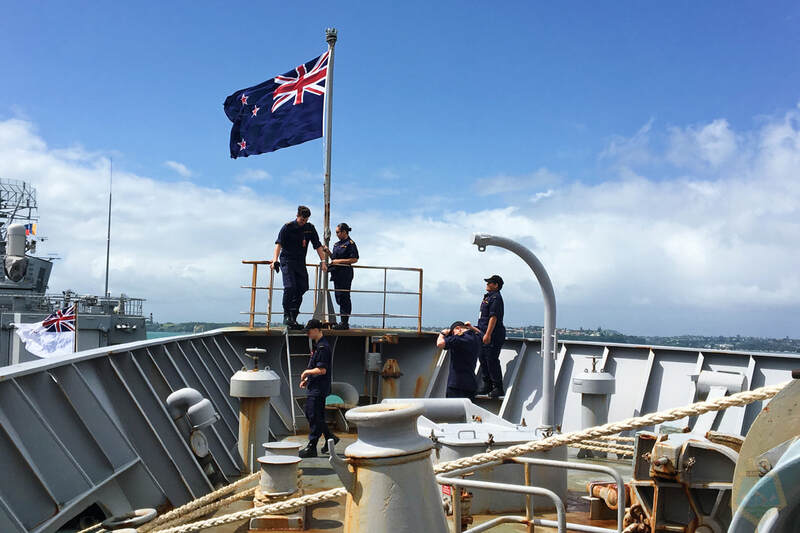 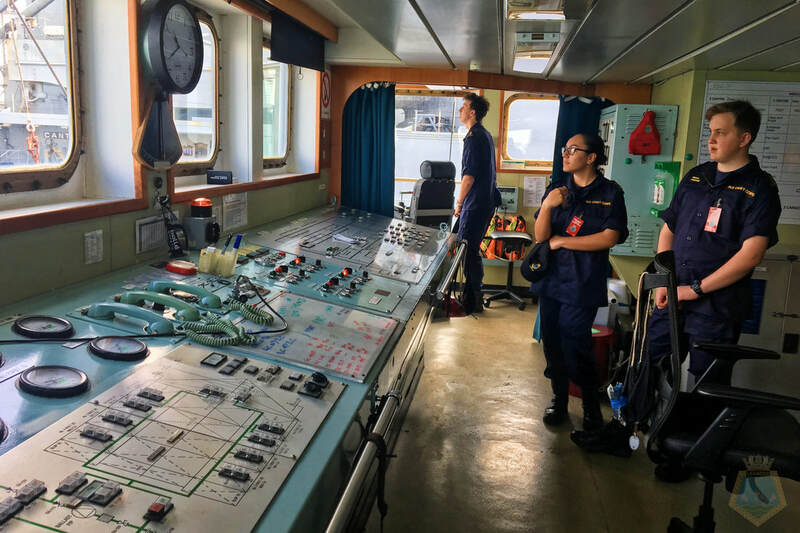 Cadets on the forecastle of HMNZS ENDEAVOUR. From Left: ACDT Murahidy, OCDT Kuluka, LCDT Porter, LCDT Gair-Ah Siu, and OCDT Pieters. Auckland City viewed from ENDEAVOUR. From Left: ACDT Murahidy, LCDT Gair-Ah Siu, and LDCT Porter. 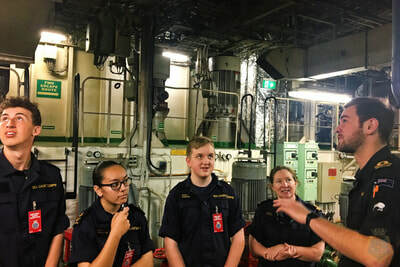 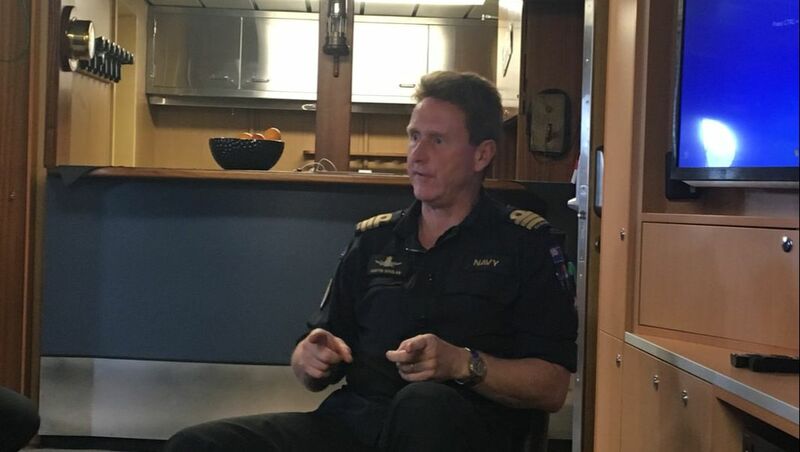 A big thank you to Commander Doolan, who allowed us to visit his ship, and Sub-Lieutenant Barry, who gave us and detail presentation, and tour of ENDEAVOUR. Cadets in ENDEAVOURs engine control room. 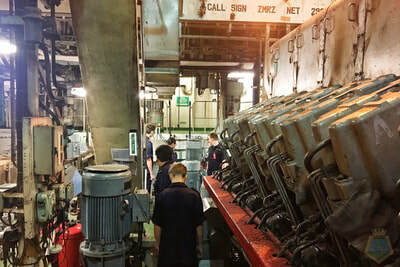 Cadets next to ENDEAVOURs V12 diesel engine. 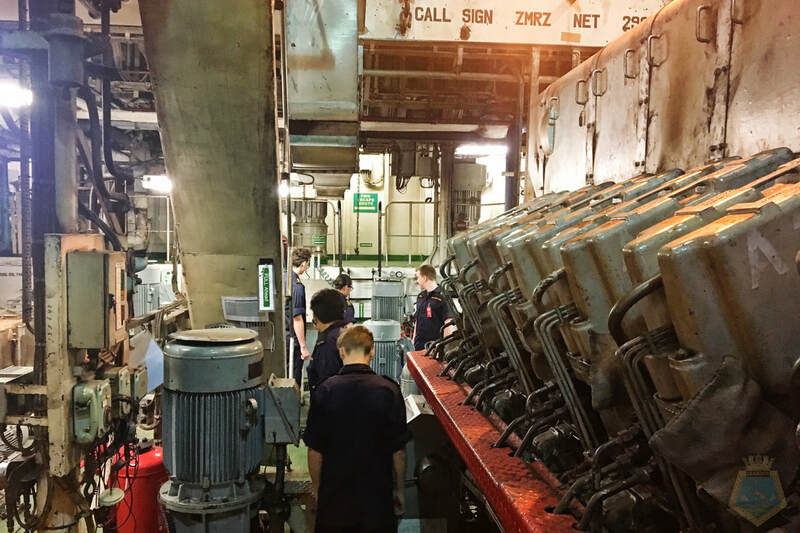 Cadets look at ENDEAVOURs V12 diesel engine.